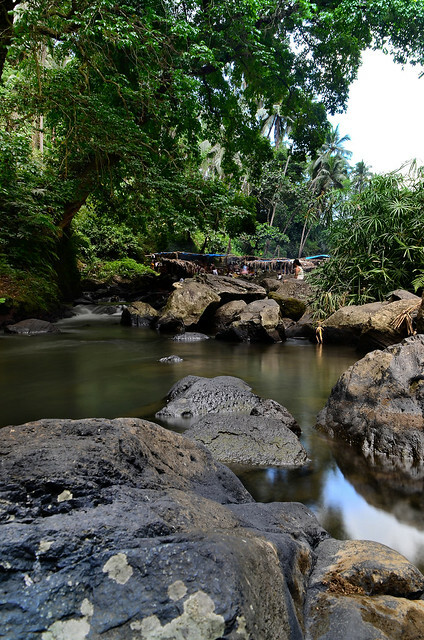 Located in Nagcarlan, Laguna, the Bunga Twin Falls, named after the "BUNGA" (betel nut) which used to grow around that area. 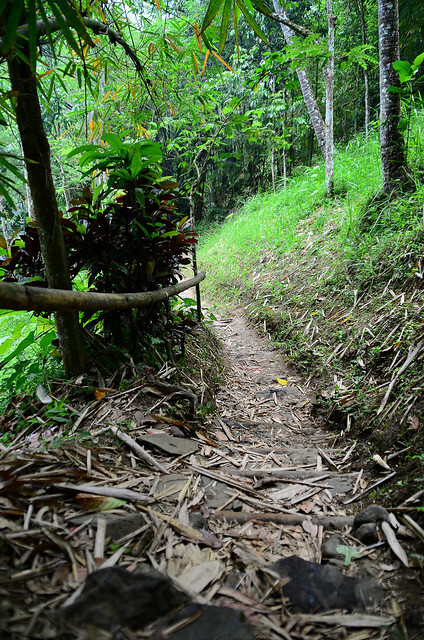 You have to pay P5 for the entrance and trek down for about 5-10 minutes. There are cottages available for P150. 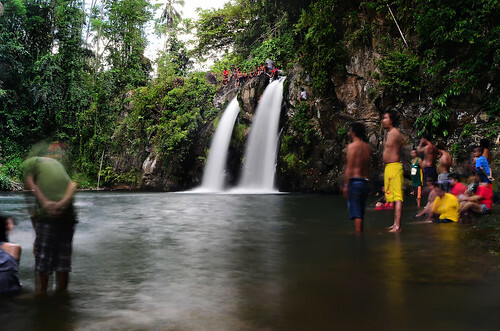 Although it's not as high as any other falls, you will still be fascinated by its two waterfalls, about 10-15meters high, identical to each other, made by a big protruding rock cutting through the incoming waters. There is a large catch basin where you can swim on its cold water but according to local stories, there is a creature snatching outsiders so you really have to be careful. The trail is so accessible that's why if you want the place all for yourself to capture good photographs you have to schedule your trip probably on weekdays because the place becomes really crowded, as in really crowded . We had our trip mid April and it was Sunday, so the place was really crowded. There were also those locals who do their laundry there so as to save from their water bill. As you can see there are locals on top of the falls waiting for their turn to jump off the cliff to plunge to the cold and refreshing water of the falls. In my opinion the falls is really great but just like any other nature spot, you want to experience its serenity, the sound of the cascading water to its catch basin, you want as much as possible the exclusivity of the place. 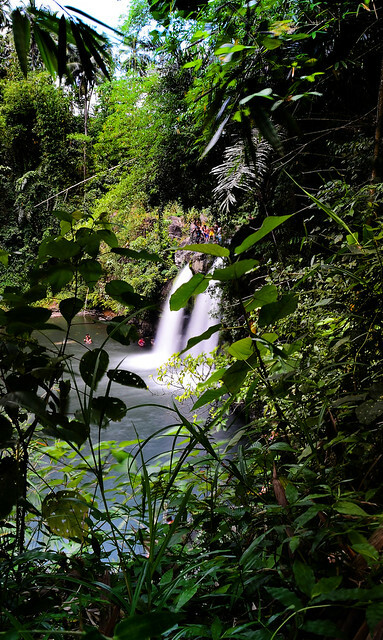 You want to experience the unadulterated beauty of nature, but nonetheless Bunga Falls is really worth visiting. Jerwin Lim - Travel, Adventures and Photography. Watermark theme. Powered by Blogger.